#284734 color RGB value is (255,0,0). 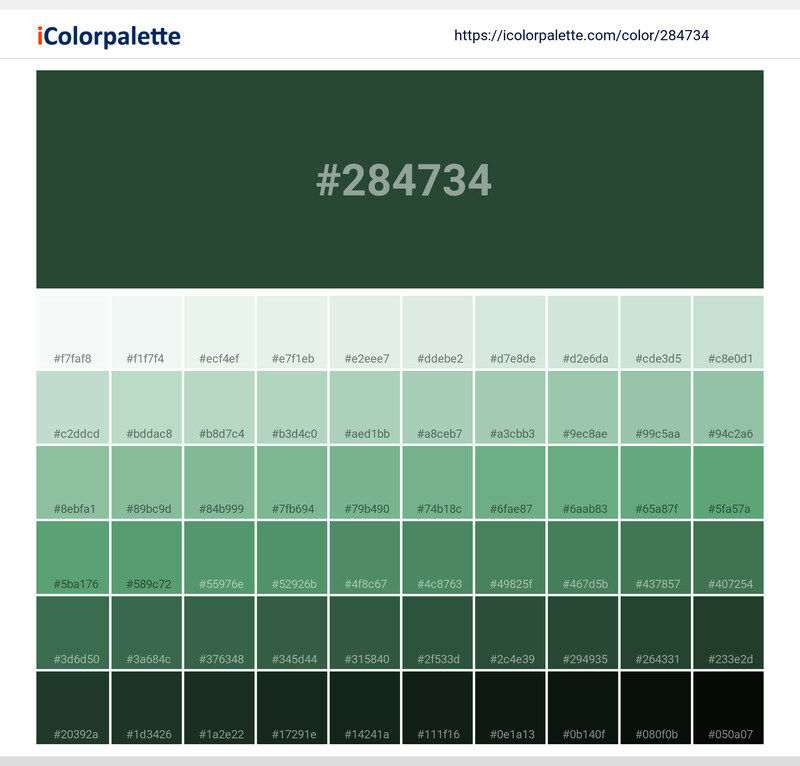 A hexadecimal color is specified with: #RRGGBB, where the RR (red), GG (green) and BB (blue) hexadecimal integers specify the components of the color. All values must be between 00 and FF. #284734 color name is Pantone 553 C.
Red value of its RGB is 40, Green value is 71 and blue value is 52. Red value of its RGBA is 40, Green value is 71, blue value is 52 and alpha value is 1. Hue value of its Hsl is 143.22580645161, Saturation value is 0.27927927927928, Lightness value is 0.21764705882353. Hue value of its Hsl is 143.22580645161, Saturation value is 0.27927927927928, Lightness value is 0.21764705882353 and alpha value is 1.